You can make a chocolate version just omit the pink colouring and add I tablespoon unsweetened cocoa powder to the mix. I used a tad to much pink in mine this time. It is quite a stiff mixture so once I have it almost mixed I knead it together with my hands. Thanks NN. I think I'll have a go at that tomorrow! Does it keep for long? How do you weigh milk? I tells you how much on the tin. I assume this means "fluid" oz., which is volume rather than weight. Though the metric is in grams! I may be wrong. I once went to a new Mum's home to see her feeding her new baby with a FULL 8oz bottle of milk. On gentle questioning I found she had used her cooking jug to measure the water for the mix..
She had measured out the ounces from the flour part of the jug! Sort of thing I'd do...it's genetic; Dad once made the washing all slimy by adding the Comfort without using his reading glasses. One CUPFUL makes the washing slimy...one capful would have been just right. I got a touch of deja vu I am sure we have had this weigh milk conversation before CC. I think the answer is very carefully so you don't spill it ha ha. I use the squeezy bottles now and just weigh the amount needed in my scales the same as all the other ingredients and it all turnes out fine. Well it's done NN I made the cocnut ice, I went a bit heavy on the colouring but seeing as it's Christmas I dont mind. One plate for the girls at the vet clinic and some for son and daughter in law and some for Brian. I remember my brother used to pinch mums condensed milk and eat it out of the tube. I only see it in tins now. Well done Julie on making the coconut ice, I was heavy handed with the colouring as well this year, it still tasts good though. I hope every one enjoys it as much as we do. We used to only be able to get the tins, but they now do the squeezy bottles, they have a bit more in them than the tins and were the same price so I got the bottles instead. Grandad North loves condensed milk on bread and butter like you would have jam. My Brother and I used to get huge finger fulls of condensed milk when we used to go to my Grandmas house. She had a huge old fashioned larder with a cold slab, It was like a small room and we used to sneak in and raid the tin !! Don't sound very healthy to me now but certainlky didn't bother us any then !!!!! Oh Kate I am sorry I don't know how long it keeps for as it gets eaten up so quickly. That's OK, was just wondering in case its only me that eats it! I never had condensed milk, I never drink milk (but I do have it on cereal) but think my nan used to have it on fruit on a Sunday afternoon. It used to be evaporated milk for on fruit if I remember rightly. Condensed milk is totally different. Peggy across the road from me still has evaporated milk in her tea and coffee. It was a real suprise to me first time I had coffee at her house !!! Ah yes, of course. Don't know exactly what either of them is, but it's clearly written on the tin so that's what matters!!! Condensed milk is a sweet mixture that's created when milk has half of its water removed and then has sugar added to it. You can use condensed milk in desserts, but not in sauces and savory dishes. Evaporated milk is simply unsweetened condensed milk, with no added sugar. You can use it as a low-fat substitute for half-and-half, light cream or coffee cream. To substitute evaporated for regular milk in recipes, use 1/2 cup evaporated milk and 1/2 cup water for each cup of milk. Or for a richer, creamier dish, skip the water and substitute evaporated milk directly for milk. Ah, so sugar is the answer!!! Thanks NN! Hey Lee I have already posted up the coconut ice recipe, I had a feeling that I might have done so had a search and Lo and behold here it is. Hopefully it will be bumped up to the top now. Yes have a go it truly is easy and well worth it cos the taste is much better than the bought stuff.............. I just asked Grandad North if it is Christmas now and he said yes so I cracked open the box of turkish delight !!!!!!! Turkish Delight mmmmmmmmmmmmmmmmmmmmmmmmmmmmmmmmm now that is something i have not had for a very long time my shopping list is getting very long for tomorrow !!!! We only have it at christmas so it is a nice treat. I had forgotten just how sweet it is though, made me yearn for a coffee !!! We got all our shopping done now thank goodness. Just made me and Sara a Baileys like you said it is Christmas!!!!!! It is rare for me to have a alcoholic drink But I do like a Bailys or a Tia maria at Christmas. I used to drink a fair bit years ago, it just doesn't agree with me nowadays. Posted By: nanny north it just doesn't agree with me nowadays. It is a nuisance sometimes though Lee like when we go out people get quite offended if you refuse a drink so I usually just say sorry I am on medication. I used to love a drink as well. I loved a smoke too and only gave up cos I couldn't aford it any more. Yes NN i loved a smoke to i could start again right now you never lose it but its been 8 years since i gave up so would not through that all away now and i do feel much better for it. Same here Lee, it is after a nice meal or with mid morning coffee it hits me worse I have been given up for six years now. You could always come running with me NN I need a new running partner !!!!!!! I used to run every morning before work Lee but that was many moons ago when I used to sky dive and race land yachts. Trouble now is.... time I ran over to your house I would be to cream crackerd to go on the run !!!!!! I can not have crumpets now cos the the gluten in them but adore marmite and have it most days on my gluten free crackers. Marmite must have been made in Heaven NN it is the very best i have a feeling that my 16 year old son,s Girl friend Daisy has bought me for Christmas the Marmite recipe book !!!! I have a jar of Vegemite, just to go along with my veggie friends. Then I realised it has an awful lot of airmiles as it's all made in Aussie! Wont be having any more of that. Yes its about time i shared a recipe with you NN its always you doing the work. I have had vegimite before Ollie but it was a long time ago, it was a funny gift from a friend. I did see some in the super market the other day funnily enough. I can not really remember lee as it was a long while back. I don't think it was as good as marmite. Ollie might be able to tell you. Posted By: ollie in UK I have a jar of Vegemite, just to go along with my veggie friends. Then I realised it has an awful lot of airmiles as it's all made in Aussie! Wont be having any more of that. Yikes, Vegemite is heavenly we love it here, i simply cant stand marmite it seems you like one or the other. Why is it no good if it's flown to you Ollie? 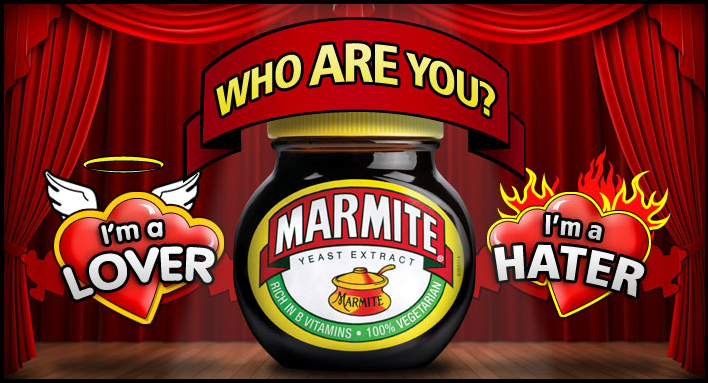 It's to do with all the carbon footprint and what-have-you; we have Marmite, so why have something almost the same that's helped to produce all that carbon being flown here. I have no idea what either one of them are..we don't have them over here. For coconut ice, see NN's original recipe at the top. I don't know trhat anyone knows what Vegemite is - vegetable extract, I spose! Yeast Extract , Salt , Potassium Chloride , Malt Extract (from Barley) , Colour (E150d) (contains Preservative (Sulphur Dioxide)) , Vegetable Extract (contains Onion, Celery) , Niacin , Thamine , Riboflavin , Folic Acid . Beef Stock (43%) , Yeast Extract (24%) , Salt , Colour (E150c) , Waxy Maize Starch , Dehydrated Beef (1.3%) , Flavour Enhancer (Disodium 5'-ribonucleotides) , Lactic Acid , Niacin , Thiamin , Riboflavin , Folic Acid , Spice Extracts (contains celery) , Vitamin B12 . Yeast Extract , Salt , Vegetable Extract , Niacin , Thiamin , Spice Extracts (contains Celery) , Riboflavin , Folic Acid , Vitamin B12 . All yummy when used sparingly. Thanks, CC & Ollie for explaining..so it's something to spread on toast or crackers..but what does it taste like? That might be too hard to explain, as you don't really know what we use over here. You don't have an equivalent Lynn. That's why I have to post it to my friend in exile in Florida! It's kind of...um...bitter? Like, zingy. And has a gloopy slimy texture if you eat globs of it (yeah, I'm weird). Most people put it on toast and spread it really thin, as it is quite a strong taste. Lyle *hates* it. Marmite is very good for vegans and veggies actually, it has a lot of good stuff in, especially B12 which can be hard to find elsewhere. Never had vegemite. Had Bovril at a friend's once when I was at primary school...didn't realise it had beef in, damn I was a veggie then!! Programme on tv today, this guy made his own yeast extract using just yeast salt and water. It wasn't quite a match for the commercial ones but a good try!